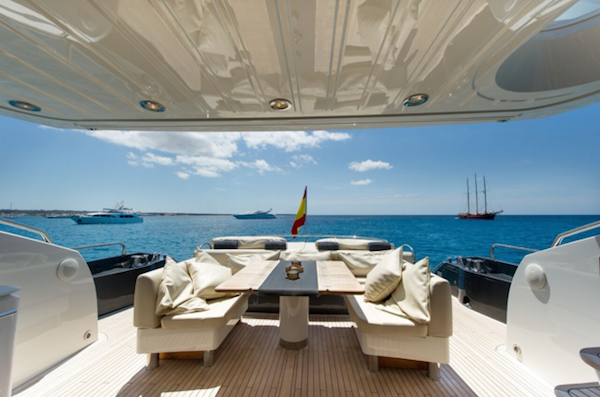 Ibiza is one of the most buzzing charter destinations in the Med, and with more and more yachts now receiving their Spanish charter license, it is set to become even more popular! Whilst there are clubs and lively restaurants to suit the hedonistic party-goers, this stunning island offers much more than nightlife festivities. Grab your passport and join us for an Ibiza boat charter in Summer 2016, to see the diversity on offer! 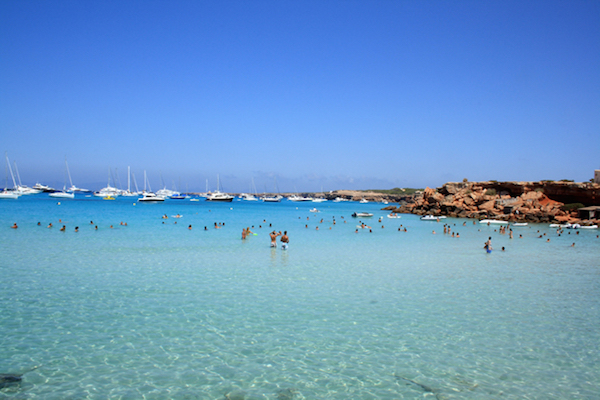 Head up to the flybridge whilst you cruise to Formentera for the day, commonly knows as ‘Ibiza’s chilled out sister’, this tranquil bay boasts twinkling blue waters and sought after swim spots. The pride and joy has to be ‘Juan Y Andrea’, this restaurant is a popular reason why many visit the island! This beachside restaurant is famous for the seaside dishes, if you are a Paella fan this could be your favourite dish yet! 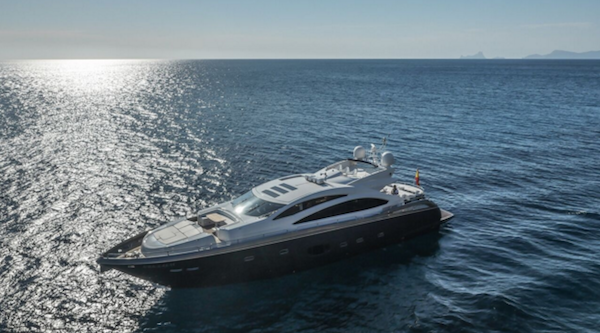 With her sporty styling, spacious aft deck, four en-suite cabins and three crew, you are ensured the utmost in comfort, relaxation and on board this beautiful Sunseeker Predator 84. 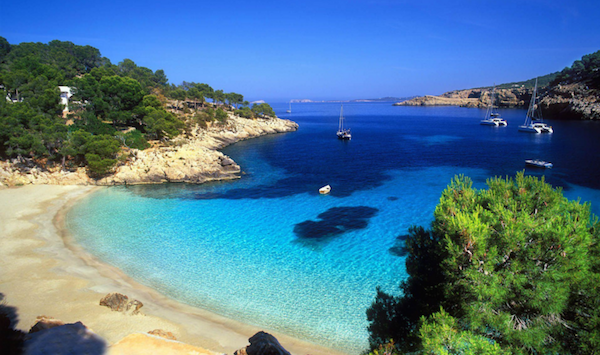 Contact one of the team now at Boatbookings to secure your Ibiza holiday for summer 2016.